Movember is an annual event that involves growing a moustache during the month of November to raise awareness for men's health issues such as prostate cancer, testicular cancer, mental health and suicide prevention. It's obviously a day to celebrate in the grooming industry, but any business can get in on the action. Will you grow a 'Mo? Sharing your progress and your goals with your social media communities is a great way to show your customers a more human side to your business. Everyone will experience stress at some point in their life, but constant or extreme stress is bad for both the mind and body. This day is a great day to share a zen quote on social media or find a way to help your customers feel less stressed! 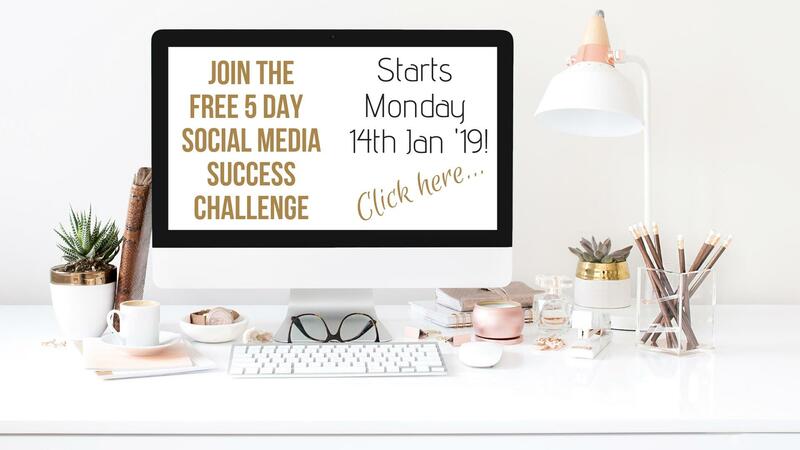 If you are in the health and wellness industry you may throw your communities a challenge on social media or get them to share a photo of what they do to unwind and de-stress. If there is one day of the year you have permission to share a photo of the cappuccino art created by your local barista - today is the day! This is a perfect day to show you care about other businesses and give a shout out to your favourite local coffee shop! This year's Remembrance Day holds a special significance as it marks the 100th anniversary of the Armistice which ended the First World War. You may like to show your support by sharing details of a local memorial event or creating a post acknowledging and thanking the contributions of the armed service members from your country and town. World Kindness Day is about looking beyond ourselves, the boundaries of our country, our culture, our race, our religion; to realise we are all citizens of the world. Celebrate this day by spreading kindness. Give a shout out to your favourite non-competitive local business on social media or show appreciation for your staff by doing a staff profile on your Facebook page. This day celebrates the charitable work that makes an enormous difference and create an impact in their community. Giving your favourite charity a plug or sharing what you love most about the work they do, is a great way to show you care and it's a free and easy way for you to extend their reach and awareness of their cause. On this day we honour philosophical reflections around the world, it's a day to share thoughts and discuss new ideas and inspire public debate on society’s challenges. There are so many great images and quotes from famous philosophers to share, if any of them fit with your business then today is the day to share. On this day in 1928, a star was born! This year Mickey Mouse is turning 90 years old (wow!). Celebrate by creating an image post and wishing him a happy 90th birthday! A quick Google search of 'Mickey Mouse Quotes' will give you plenty of inspiration! On this day we promote international togetherness and awareness among children worldwide and improving children's welfare. There are many great quotes about children. It's time to celebrate the children in your business or associated with your business. Whether they are yours (who let you work the hours that you do), or your staff's children (who let them work the hours they do for you!) or those of your customers - there are many ways you can share your gratitude and admiration for them on social media. Thanksgiving is a time to express thanks and gratitude for all you have and is commonly celebrated by having a large banquet surrounded by family and friends. This day is perfect for sharing a message of thanks with your social media communities. For those not in the US - it's still a great day to be thankful! 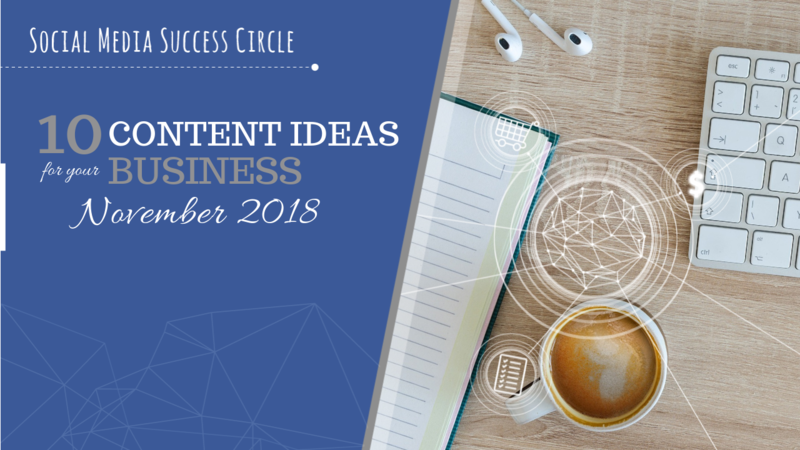 If you're struggling to get your content planned, created and posted each month, you may find our monthly, Social Media Success Circle is just what you need, with a supported content sprint and loads of resources to get your social media performing.